You shall receive power after the Holy Ghost comes upon you. That means you have been appointed by God to preach the gospel, heal the sick and to set the oppressed free. 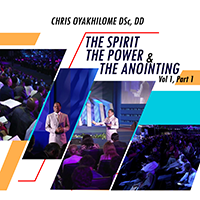 Learn from this special teaching by Pastor Chris what the anointing is and the relationship between the anointing, the appointment and the power of the Holy Spirit.